Sunday 19th March saw the 2017 ITTF Challenge Belgosstrakh Belarus Open draw to a close, and spectators were treated to a wonderful finale to the first ITTF Challenge Series event with four trophies being handed out to the victorious players at the Palace of Tennis including a home favourite being crowned champion yet again. The first title win of the day came in the Women’s Doubles event, as Japan’s Miyu Kato and Misaki Morizono took on Lin Chia-Hsuan and Lin Po-Hsuan of Chinese Taipei. Seeded third for the competition Miyu Kato and Misaki Morizono were the favourites to succeed in the final against their opponents Lin Chia-Hsuan and Lin Po-Hsuan positioned three places lower, and the Japanese duo put in a calm display to claim the match in four ends (11-8, 11-2, 10-12, 11-9). Another Japanese partnership involved in action on Day Three was the combination of Yuto Kizukuri and Masaki Takami, as they went head-to-head with Poland’s Daniel Gorak and Wang Zengyi for the Men’s Doubles title. However, unlike the Women’s Doubles competition there would be no trophy for Japan as the third seeds Daniel Gorak and Wang Zengyi came through the tie against Yuto Kizukuri and Masaki Takami in straight games (11-7, 11-7, 11-9) to reach the top step of the podium. Following the conclusion of the two doubles events came the Women’s Singles and Men’s Singles finales, as the 2017 Belarus Open began to approach its closing stages. Success achieved against the 2016 Belarus Open champion Saki Shibata in the last four, Hitomi Sato went on to finish her campaign in Minsk with the Women’s Singles title to her name as she prevailed against Honoka Hashimoto in the final. Hitomi Sato proved to live up to expectations in the final as the top seed for the category overcame second seed Honoka Hashimoto across five games (11-9, 11-2, 11-8, 5-11, 11-4). “I’m very glad that I’m the winner. It was a real pleasure to compete in the finals. Normally, Honoka (Hashimoto) is my teammate, so we know each other well. I like to play with defenders and know how to do that. I have good conditions for attacks”, Hitomi Sato. 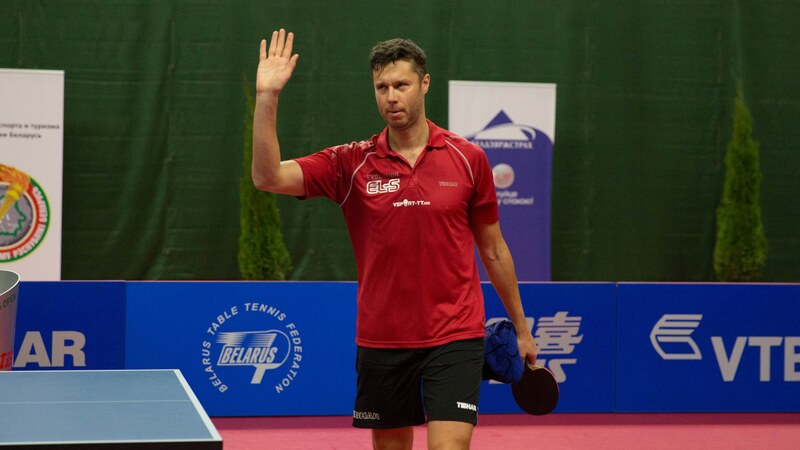 Just one more battle for silverware remained as Belarusian contestant Vladimir Samsonov faced Wang Zengyi in the final round of the Men’s Singles competition. The tie was a repeat fixture of the 2014 Belarus Open final, and in a similar fashion to that final it was Vladimir Samsonov who defeated Wang Zengyi yet again at the 2017 Belarus Open (11-8, 11-5, 8-11, 9-11, 11-5, 11-5) as the home player sealed the Men’s Singles prize for the third occasion. “I’m very glad that I am victorious in this tournament. Thanks to all of today’s spectators, their support really helped me. The match has been tough, with all the games going at equal. A finale is always hard. I plan to work on my health now, because I don’t have enough time for recovery due to the stiff games schedule and permanent moving”, Vladimir Samsonov. 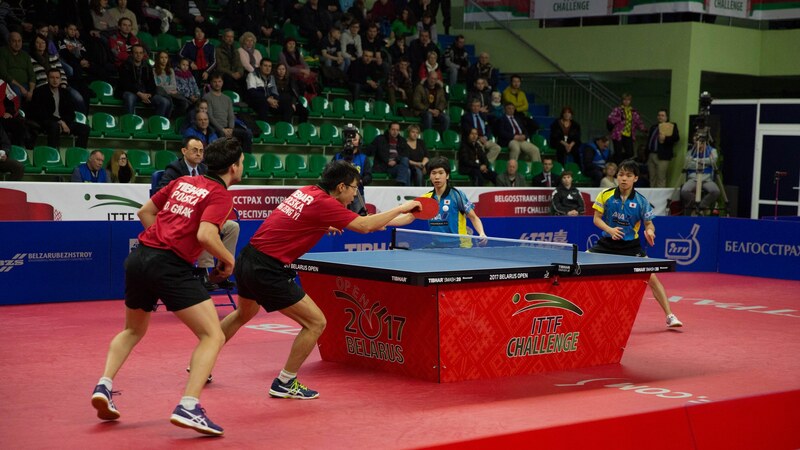 Minsk bids farewell to the table tennis action, but the ITTF Challenge Series is set to resume soon with the 2017 ITTF Challenge Thailand Open taking place between Friday 31st March and Sunday 2nd April.